Journalists are insisting that the 49 million Naira intercepted at the Kaduna International Airport is part of the $600 billion reportedly looted from the government's coffers. Operatives of the Economic and Financial Crimes Commission (EFCC) intercepted the money on Tuesday. 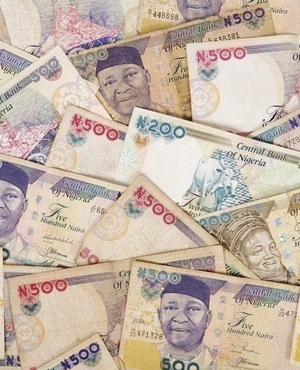 Journalists Network on Money Laundering/Terrorist Financing Nigeria said the money should be returned to the coffers of the federal government if after a thorough investigation, the owner could not be traced or failed to turn up to claim the money. “From all indications, the money was stolen and the owner cannot explain how he came about it,” national coordinator, Odan Agbese, said. “Nobody who has worked hard and earned his money would abandon it and flee on sighting security agents,” Agbese added. The official said the episode smacked of guilt and an attempt to flee from the law. The current administration of President Muhamadu Buhari is cracking down on corruption, which has weighed Nigeria’s economy down over the years. “Nigeria has lost so much to corruption and sleaze in the past years while the system has allowed many to get away with their loot and walk freely with impunity,” said Agbese.